opportunities slipping away, I called the family together for an OFFICIAL Disney trip planning pow wow. Sound crazy? Not if you have a specific restaurant in mind, particularly character dining! Disney restaurants allow guests to make reservations up to 180 days before their trip. The most popular restaurants (including Cinderella’s Royal Table and Be Our Guest in the New Fantasyland) book months ahead. Our trip is less than four months away… Thankfully, Cinderella’s Royal Table is not on our desired dining list (this time). Log in to the Disney trip planner by following the prompts here. 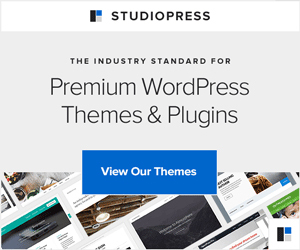 Like any site, it asks for personal information like name, address and phone number, which I’m sure they use for market research purposes… but I digress. On the log-in page, you can opt out of promotional materials and other updates, but Disney assumes you want those materials and graciously opts in for you. Personalize your profile if you want. We had fun with this. My husband is Tramp and I’m Lady (we’re adorable like that). The kids can pick their personalized character too… Ellie, of course, picked Ariel. 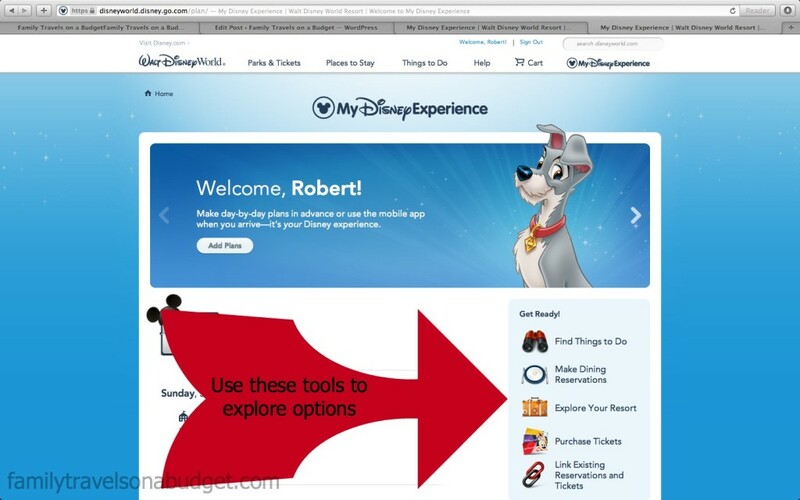 From there, click on “My Disney Experience” at the top, right side of the screen. Save the plan and revise it whenever you want. Of course you’re here for my opinion, right? Okay…. maybe not. I like the Disney trip planner, except it doesn’t do everything I thought it would. It allows users to explore restaurants by location, cuisine, dining type (character meal, buffet, etc) and make reservations on the spot. We made seven reservations, and on more than half we got the Donald Duck version of the spinning wheel. The site couldn’t handle the traffic, apparently. We waited 2-3 minutes and were able to resubmit our request each time with success. 2. Planning park visits… not so effective. The tool automatically indicates which parks to visit based on dining reservations, which is good. Park admission is required to dine at any restaurant within a park. 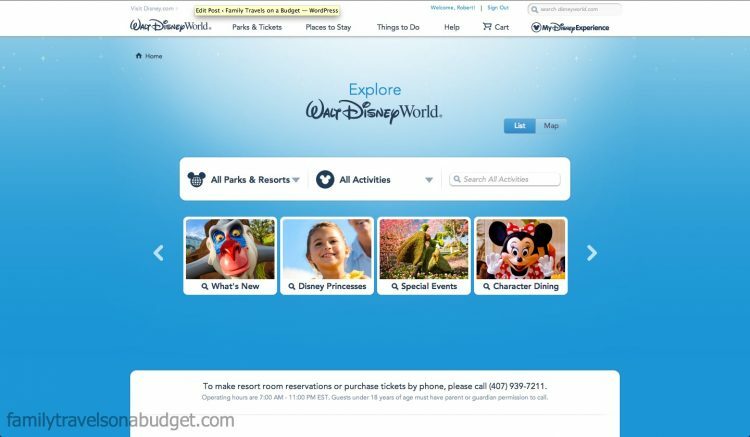 The Disney trip planner provides different ways to explore activities and attractions at each park. We found it useful, particularly the “What’s New” section since we haven’t been to Disney since Ellie was really little! 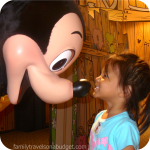 Disney Trip Planner let’s you explore and plan before you go! What we didn’t like: We couldn’t save specific activities to our itinerary. It seems like that feature is available, but I kept clicking the calendar, got a “saved to your itinerary” notice, but there’s nothing there. To get around this glitch, we created a custom Disney map which will be sent to our house (to make my map-loving children very, very happy)! To get a personalized map mailed to you, order it at least four weeks before your trip… Or you can print your maps at home whenever you want. Because Walt Disney World is such a popular vacation destination and people often seemed overwhelmed at the thought of sorting it all out, I thought this information might be helpful. As a seasoned Disney traveler, I found this trip planner to be a useful resource. What’s your number one, all-time, absolute favorite thing to do at Walt Disney World? oh we just got back a couple days ago and we didn’t have that pineapple float!! I wish I knew it was good I would have waited in that long line!! You can make one at home, though not quite as good. Pour pineapple juice over the top. My favorite thing at Magic Kingdom is the aloha pineapple whip float. Yummy! I’m slowly warming up to the Disney idea. Loving the spinning Donald Duck – better than the plain old wheel 😉 Would be even better if they could handle all the traffic – must be a good sign for them!